Create the best ecommerce store in the world. The brand name is perfect. Now how do you make your website? Millions of new ecommerce business owners face this dilemma every year. It’s tough. It can be very expensive to build your own site from scratch and hire a developer. Thankfully have two stellar ecommerce builders to choose from. One of the biggest challenges that face anyone who wants to build a website that includes shopping cart capabilities is selecting a platform. You’ll obviously want to be working with a system that’s robust enough to deliver years of dependable service. Two of the most recognized names in the industry are Shopify and Squarespace. 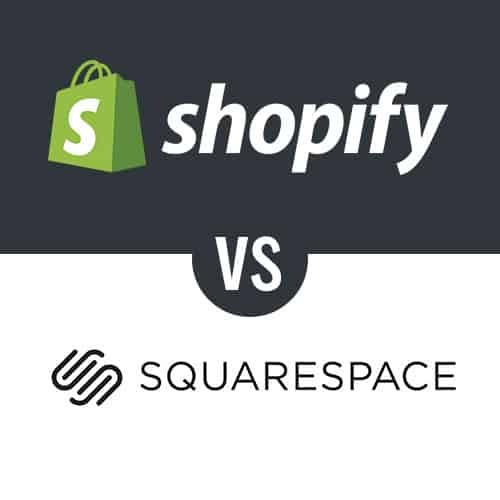 Making a choice about Shopify vs Squarespace isn’t a simple process, and it’s important to look at several critical factors before committing to one platform. 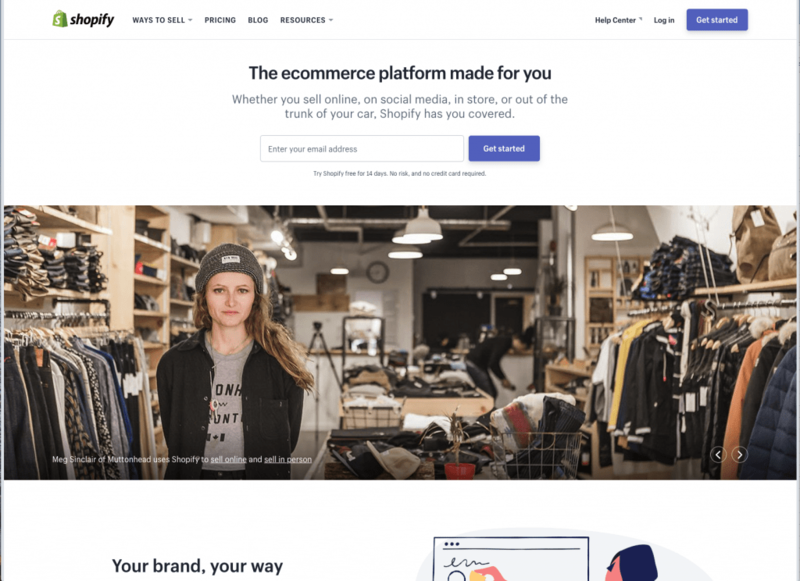 Quick look at Shopify’s home page, they clearly are catering to ecommerce store creators – which is hopefully you. My quick gut recommendation is that if you’re definitely going to create an ecommerce store, and ecommerce is the main portion of your business go with Shopify. If you only have 30 minutes to decide – go Shopify. But….you’re smarter than that! 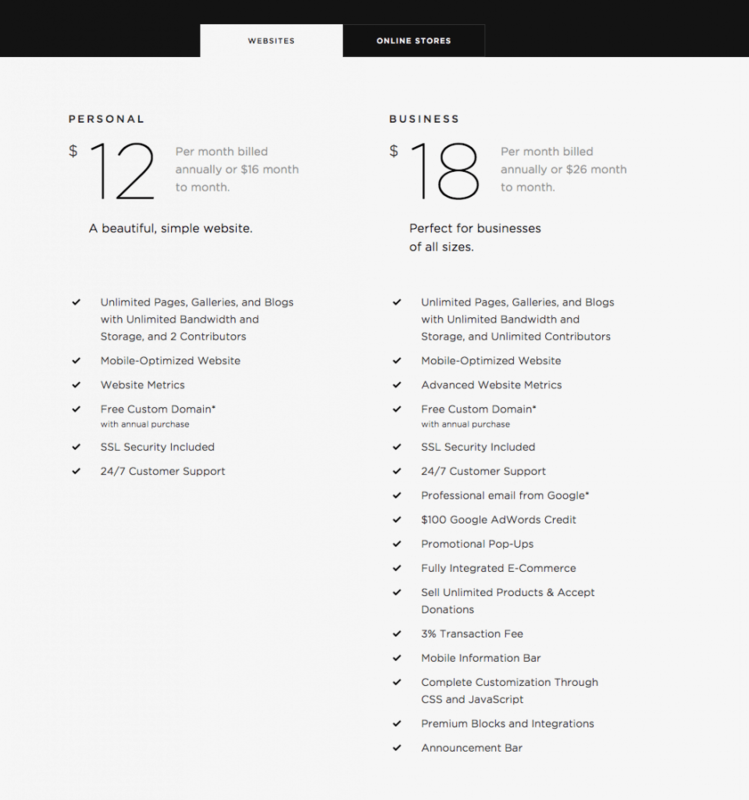 You want to compare all the features between Shopify and Squarespace. So keep on reading. Just know that Shopify is the market leader for small business ecommerce stores and you can’t go wrong. 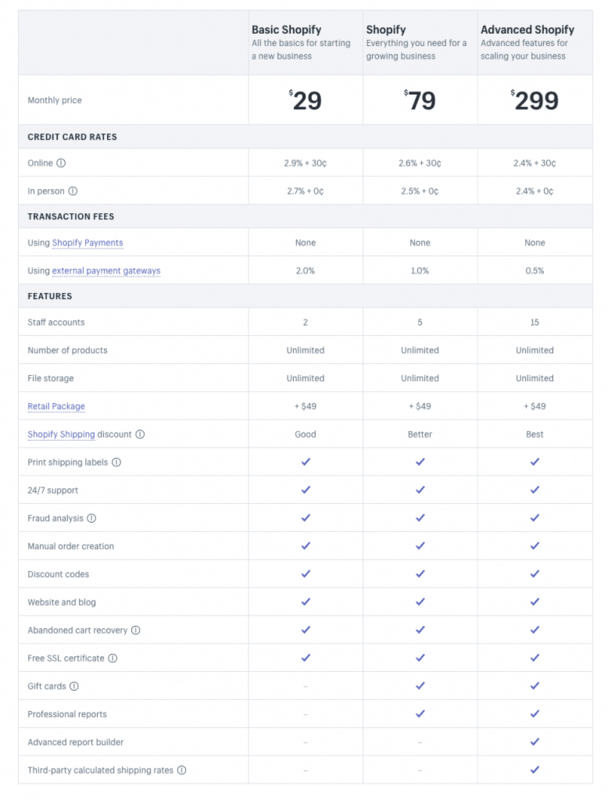 Shopify’s plan pricing can be anything from “you want me to pay $29 a month?” to “wow $299 is cheap for my million dollar business” (side note if you’re a million dollar biz, check out Shopify Plus). While $29 can be a lot to swallow for someone selling their $5 greeting cards online for the first time (as a quick example), really when you compare it to building your own site on WordPress and hiring a developer, it’s a pittance. Let me tell you, just a few hours of development work on a WordPress site can be hundreds of dollars – the entire annual bill for Shopify – but I digress. I love that you can have unlimited products – who wants to worry about that? They clearly get branding. They really focus on designers, creators, makers, and small businesses. When people don’t know where to turn to make a website themselves, they often go to Squarespace. The commercials are unavoidable, and the branding is burned into our brains now. You think GoDaddy for domains, Squarespace for easy websites. I definitely applaud them for bringing cheap websites to the masses. Now…there are some out there that say this is still too expensive. I mean I get it, but if that person could see how far we’ve come in 20 years, this stuff just wasn’t possible. Competition is good, it’s brought cheap and beautiful website builders to us all. Clearly the pricing has gone up a bit – but ecommerce is harder, that’s for sure. It takes more support, more technology, and frankly there are more risks involved. And now, we compare, feature by feature. The most obvious contrast between building a Squarespace store and a Shopify one is in terms of ease of use. In general, Shopify should be thought of as the more robust platform and Squarespace should be seen as the simpler one. For those who are coming the choice as non-developers, Squarespace wins big points, especially for its ability to integrate with other types of functionality, such as services pages and blogs. On the flip side, Shopify is highly specialized for the online store sector. Shopify’s business model is constructed around the number of items that clients want to post to their stores. A basic plan starts at $26.10 annually, and an advanced plan goes as high as $299 per month. Each transaction includes a 30-cent fee, and an additional 2.25 to 2.9 percent charge may be added, depending on the specific plan you select. 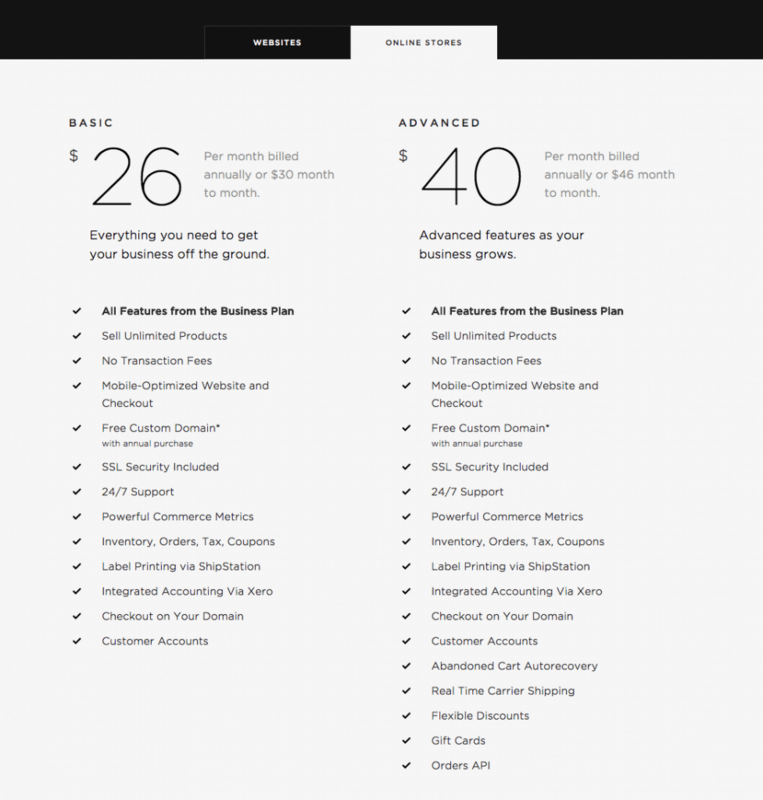 Squarespace prides itself on a much more simplified pricing structure. There are two plans, the basic and advanced plans. There are never any transaction fees, and customers are allowed to post an unlimited number of products. The basic plan costs between $26 and $30 a month, depending on billing structure. The advanced plan costs $40 to $46 per month. Winner: Tie – the cost is just about the same. When an online store goes down, it’s safe to say that you’re going to be a little freaked out and want a clear response as quickly as possible. Both platforms offer clients to live chat and email support, but Shopify is the only one that provides phone support, and it does so on a 24/7 live basis. In other words, while Shopify is typically more expensive, it’s a case of getting what you pay for. If you’re able to work with a team of Squarespace pros who can provide the missing live phone support that the company doesn’t, you may want to take advantage of that to lock in some cost savings. Shopify also tends to offer a larger and more robust community. You’ll have an easy time tracking down information from other users, an advantage that folks with some development capabilities will find interesting. Qualified expert advice is also close at hand. The more advanced you expect your site to become, the more likely you’ll want to utilize Shopify. The tools it makes available also allow skilled developers to get a lot more done. Squarespace does provide a developer mode, but it takes a little effort to enable it. Conversely, Shopify offers access to a massive app store that allows site owners to employ more than 1,400 different apps on their sites. The HTML and CSS system is one of the things that attracts a lot of Shopify pros to the platform. Shopify allows a higher degree of customization. 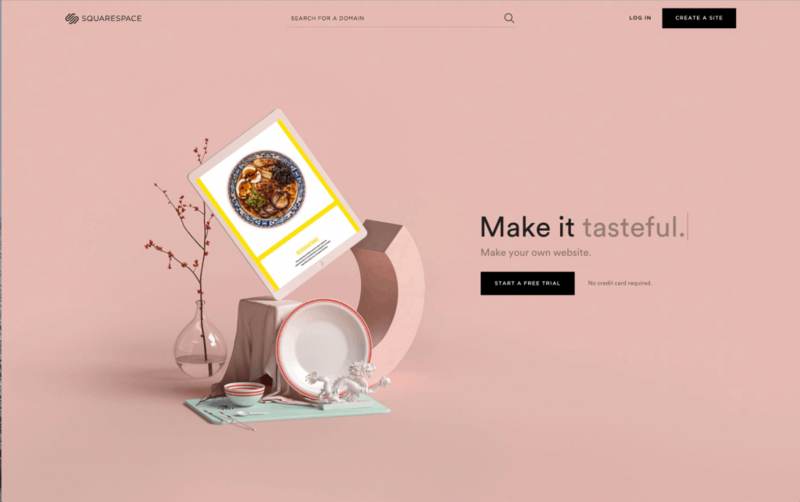 For those looking to get less into the guts of their sites, though, Squarespace may seem like a more appealing choice. This makes the platform especially popular with folks who don’t need any e-commerce capabilities. One small advantage Squarespace offers is integration with Getty Images. If you’re looking to speed up the process of getting images onto product pages, this may give a small boost. Shopify scores a bit of a win thanks to its integration with AMP, a system that’s designed to speed up the delivery of mobile pages. The complexities of mobile and responsive design are increasingly critical to success in search engine results pages, so this is something to keep in mind. You’ll especially want to consider Shopify for a more mobile-focused website that’s targeted at a younger audience. Thanks to Shopify’s strong focus on e-commerce, the platform tends to have much better support for international sellers. If you’re looking to sell products to customers in Europe, for example, the ability of the site to quickly compute and deal with the EU’s VAT requirements is a big plus. When it comes to choosing an ecommerce website builder, not just a general one, Shopify wins. I believe we’re seeing specialization win out here. Squarespace is great for general website, but Shopify is investing in its ecommerce platform month after month. Shopify has grown exponentially over the years, with huge stock market gains to follow. We think Shopify is going to win out for quite awhile. Alternative (Crazy) Idea: Why Not Both? I don’t recommend this if you’re starting out – just start one. But if you’re a crazy person, with a wild look in your eye, you might be able to pull this off. Squarespace offers support for integration of Shopify cart buttons. If you’re happy with an existing Squarespace site, this can be especially beneficial. Rather than trying to transition a whole site over to Shopify, you may simply want to build a store or cart subdomain that utilizes the platform while keeping everything else on Squarespace. Again – I’d rather you pick just one. But it is possible to jerry-rig a system together like an old pirate and make both work. The big issues that potential customers need to look at when choosing between Shopify vs Squarespace are cost and functionality. If you’re worried about how much does Squarespace cost, you’ll see it’s the clear winner, especially for those who want to be able to scale up massively. On the other hand, Shopify pros tend to love the platform’s high level of extensibility and support. Each system comes away the clear winner in certain aspects, but the differences in specific advantages will compel you to think about what your online store is now and what you intend it to be in the future.